Whilst browsing for a book recommended to me by Maisie, ‘Out of my mind’ by Sharon Draper, I had a look in the teenage section as I thought it could have been placed there. Although unable to find Draper’s book, I found a shelf which I had never noticed before – not a Narnia bookshelf/wardrobe/cupboard/door/anything that could get me there! I wasn’t that lucky! But a shelf which had books written by great authors, such as Malorie Blackman and Sophie Mckenzie, specifically for teens with dyslexia. I was intrigued to see what these books would be like, so I took several out. I really enjoyed them as the story lines were gripping and not too complex or dragged out. The themes ranged from football politics to the life of a girls in the 1800s, to the quite frankly terrifying horror! The content is definitely for teens, not for KS2, but you may want to remember this section for future reference. The books obviously aren’t exclusively for those with dyslexia, but if you have challenges in this area, check these out when you’re at secondary school. The series of books I read were by a publisher called Barrington-Stoke. 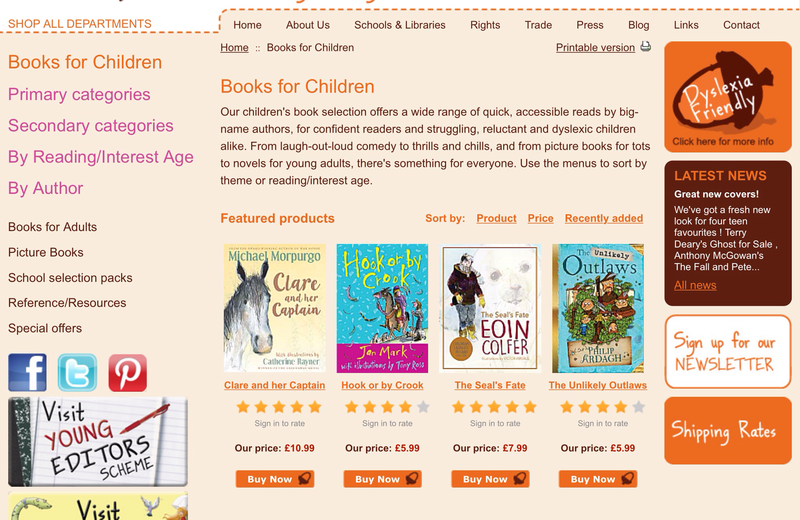 Having just peaked at their website, I have found that they have many dyslexia-friendly books by some familiar authors for younger children and even for adults too. There are many books out there written specifically for children with dyslexia. Next time you’re in the library or a bookshop, why not ask someone who works there to point you in the right direction for books which could be more suited to you? Have you read some good dyslexia-friendly books? Leave a reply and recommend a read! Previous Post New coins this year with Beatrix Potter and Shakespeare on!